First Man Movie Review: La La Land Promised Stars & Moon, Damien Chazelle Gifts One With This! Neil Armstrong, a stubborn test pilot, gets into an X 15 to review it among-st the dark clouds but it gets shaky and almost impossible for him to come back from above. Armstrong being Armstrong, lands safely and there we get our probable contender for the first man on the moon. Along with professional issues, Neil has a daughter affected by a tumour. He loses her and that makes him live less than before. Alone in a room, he cries his heart out but for his wife Janet (Claire Foy) he’s still someone who has never grieved. He gets a call from NASA saying he has been selected for the Gemini/Apollo program. Looking for a fresh start, Neil aims at the moon! Going through a gravity test and some theory classes, Armstrong gets ready to achieve the monumental feat. No one has ever had a smooth biopic and so does Armstrong! We see how the mission Apollo gets opposed by people as they thing the US government is spending money on the lesser important things. Amidst the Gil Scott-Heron’s Whitey On The Moon, we see how this much criticised mission gets accomplished. You get an idea how the story is so tight when in just around first fifteen minutes you’re getting moist-eyed over Armstrong’s loss of daughter. Interstellar, Gravity have depicted what happens outside that spaceship but First Man exclusively takes you inside one. This needs to be called as the first space film which isn’t sci-fi. The first-person happenings from the pilot’s point of view tenfold the watching experience. I watched this with a friend and in the interval he said he’s feeling heavy-eyed because of the spaceship proceedings, and this is the greatest achievement for the team because they make you sit with the pilot throughout. Continuing its team with the Academy Award winners – Cinematographer Linus Sandgren (Won the Oscar for Chazelle’s La La Land) and Composer Justin Hurwitz (Won 2 Oscars for Chazelle’s La La Land) – the master director nails both these departments. Linus Sandgren makes sure to capture every minute detail with his camera but that costs him some shaky zoomed in scenes at places minus spaceship. The visuals are just about enough to match up this flawless realistic event. 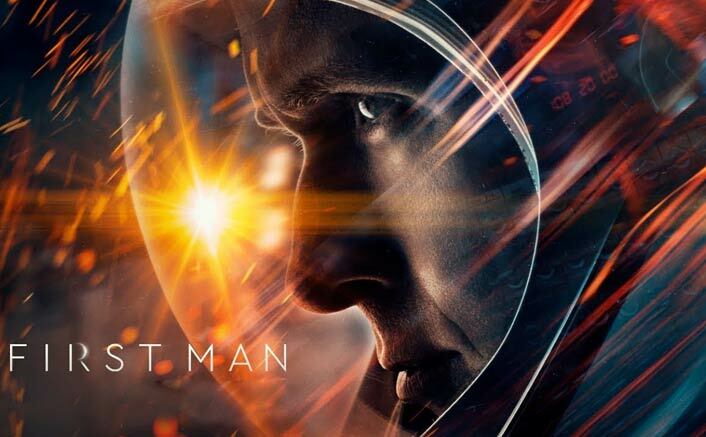 First Man brings in the most authentic in-flight experience ever seen in a space film. Silence plays an important role to depict all the chaos – from the shaky landing to the turmoil happening in the sky. The way Armstrong looks at the moon before taking off evokes all the goosebumps you need. The bond with his daughter has been written and used so well used throughout the film. Ryan Gosling underplays himself and how? He is the best Armstrong makers could have got. The plain-faced actions, those timely grims and smirks – Gosling acts like he is already sure of bagging an Oscar for this. He’s par brilliant in a breakdown scene and that says everything about how great actor he is. Claire Foy is a symbol of perfection in the role of Janet(Armstrong’s wife). Even she is a probable contender for bringing in Best Actress award at the Oscars. She depicts the frustration of a wife, who is rooting for a normal life, in a sublime way. Never for a frame she crosses the line to ham or overdo a scene. Corey Stoll, best known for Congressman Peter Russo in House Of Cards, does a fine job as Buzz Aldrin. How I wished to see more of his acting chops but story without roaming around the bushes stay true to the central character. Damien Chazelle steps out of his comfort zone of ‘celebrating art’ and he celebrates science instead. Every tensed scene is followed by a Piano. Neil Armstrong puts in a CD and dances with his wife & that’s where we know this is a movie by Damien Chazelle. This wasn’t enough, we also see how Neil hands over a cassette in space to listen to the music. Also loved how a proper amount of politics is used and nothing is forced just for the sake of it. Justin Hurwitz devotes himself entirely to the theme of the film as he gets ready to bag his 3rd Oscar. He fixates the instruments in order to create a theme for every little instance in the film. The Theremin used at couple of junctures spooks out the atmosphere smoothening your transit to the space. Hurwitz, very smoothly, goes the (Hans) Zimmer way and also this easily could be counted as his tribute for 2001: A Space Odyssey. 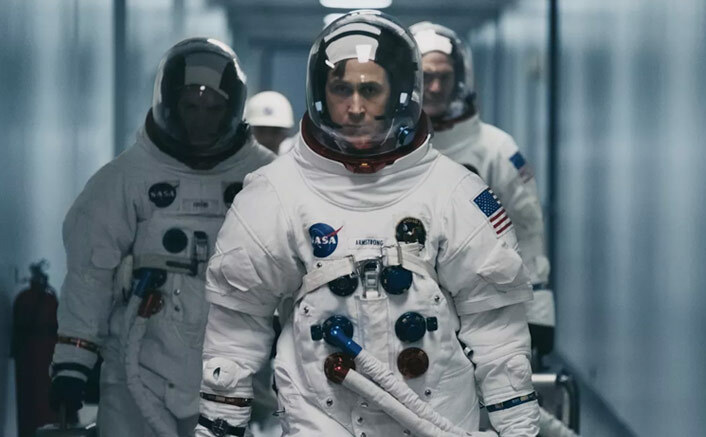 All said and done, First Man depicts probably the most epic event in the history in the trademarked Damien Chazelle style. His last movie La La Land promised stars and moon, Chazelle literally takes you to the moon with this one. When it all ended, I was prompt to say that I am back from the moon and not from a movie.